Studies show that a staged home tends to sell faster and for more money than an empty, unstaged home. While this isn't guaranteed to happen every time, it's definitely worth a try. 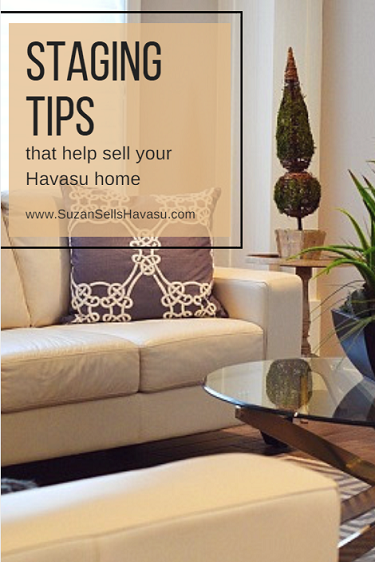 Utilize my staging tips to help sell your Havasu home. They're super simple and won't take up much of your time. However, they may yield magnificent results. Fashion icon Coco Chanel once said that "simplicity is the keynote of all true elegance". This rings true for home staging as well. Pack up most of your books, DVDs, personal photos, extra dishes, etc. Keep kitchen and bathroom counters clear. Use suitcases to pack up extra clothing and then store them underneath the bed. Don't put these boxes out in the garage. Instead, rent out a storage unit and keep them there. Buyers always look in the garage. Boxes may create the illusion of a smaller space. You don't want that. Coco Chanel also once suggested that you should stop and remove one accessory before leaving the house. (She was a smart lady.) Why? We tend to overdo it with our accessories. "Less" more often than not translates to elegance while "more" can feel gaudy. Feel free to move pieces of furniture around from room to room. For example, take a few pieces out of the living room and stage a gaming area in another part of your home. Perhaps the dresser or side table in your bedroom might look better in the entryway. Your only limit to what should go where is your imagination. Another one of my handy staging tips is to add light wherever possible. Decorative lamps add character as well as illumination. Mirrors can help reflect light, brightening up dark corners. Exchange heavy window treatments for light ones. Always keep drapes and curtains open when showing a house to allow as much natural light inside as possible. My next staging tip involves a bit of elbow grease. That's right. It's time to clean. Scrub the baseboards, windows, window sills, countertops, floors, and walls. Clean underneath and behind the refrigerator, washer, and dryer. Deep clean carpets, upholstery, and draperies. And don't forget your fireplace! Remove ash and soot for a sparkling clean appearance. 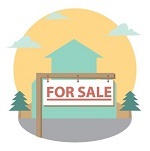 You want your home model ready when buyers come looking. You may be surprised at how much better and brighter a room can look with a fresh coat of paint...even when it's in the same color as before. Remember that squeaky hinge you've been meaning to oil? Or the latch that doesn't quite line up with the gate? Then, there's the scuff marks on the walls that you haven't quite gotten around to touching up. Perhaps your kitchen and bathrooms have dingy grout or cracked tiles. All these things need to be fixed and fixed now. Buyers notice the little things. To them, this may be indicative of bigger problems hidden below the surface. After all, if you weren't willing to fix the little things, what else have you neglected to take care of? The final one of my staging tips, and perhaps the easiest, is to create a real sense of home for buyers. Take your fine china out of storage and create a lovely yet tasteful holiday table setting. Set up a chess set as if you're in the middle of an intense game in one corner of the living room. Add a new bath mat and shower curtain to your bathroom. Set candles and different colored bath salts in glass containers around your bathtub. Maybe add a bath pillow as well. 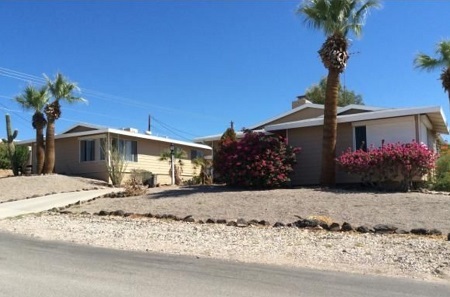 All this helps buyers picture themselves at home here. Don't have it in your budget to hire a pro? These staging tips can be utilized by just about anyone. If you have any questions, please feel free to contact me.